Our webdesign offers plenty of versatility for you and your visitors. Building a personal relationship with our clients helps building your site to your liking and wanting while making it elegant and direct. With a graphic and sales background getting your site up and ready with available marketing options getting clients could never be simpler. You wont get more of a professional looking website anywhere else for as low as price! Our Sites are build with WordPress. This gives you complete access to your site. You can change any information on your site from a user friendly interface. 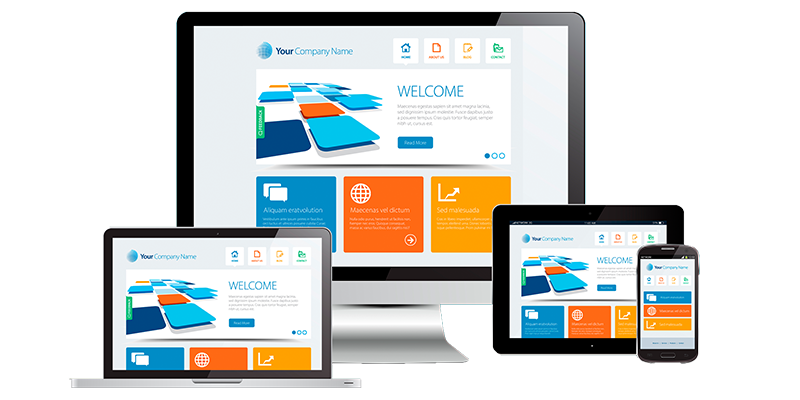 We build sites that are responsive. Being responsive allows your site to look and feel the same on all platforms. On your computer, phone and tablet.